The Dilvia Charity Organization, run by a fantastic group of young volunteers, have started a phenomenal campaign to donate blood for children with thalassemia. 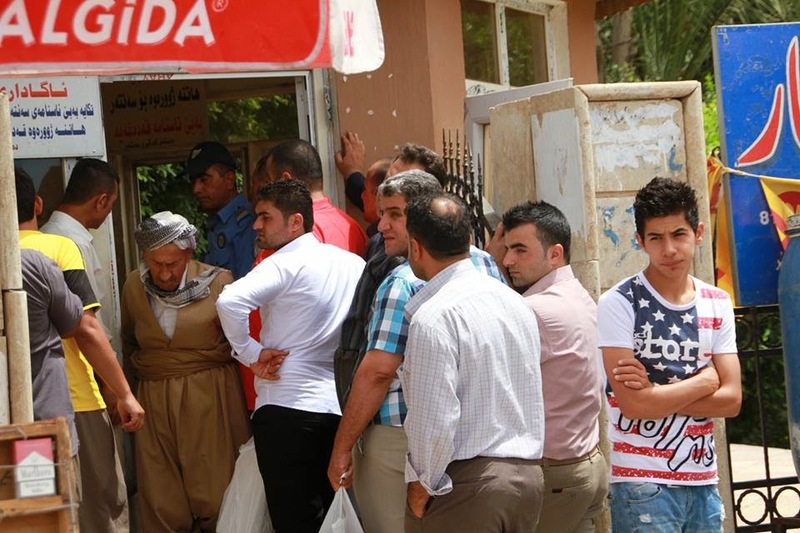 On June 2-4 between 8:30 am and 12 pm the blood bank van will be located in the heart of Erbil to make it easy and convenient for people to donate blood. 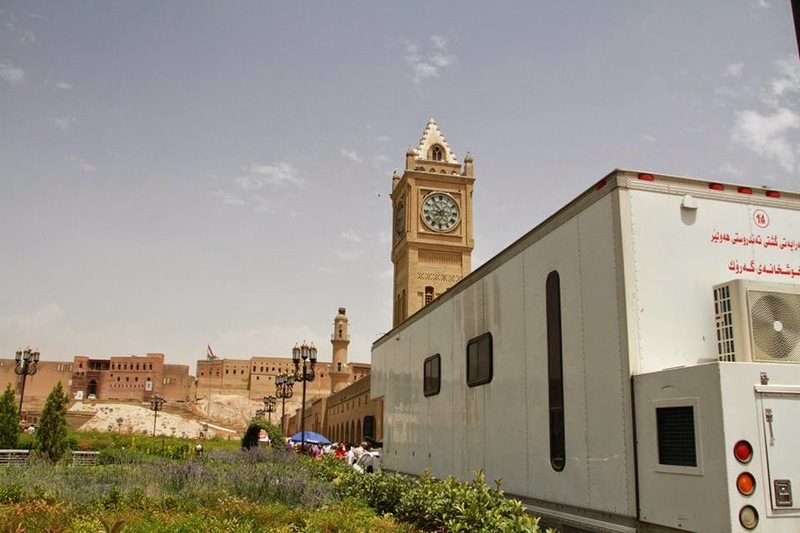 It is near Bazaari Nishtiman, right next to Baakhi Shar (near the big clock and the fountains). Smiles of friendly youth will be waiting for you there! Hospitals here are always in need of blood. Usually when a patient takes blood they must also find a donor who will offer blood, this is mainly due to the fact that not many people here donate. Families who have children with thalassemia cannot continuously give blood in order to receive some from the blood bank. 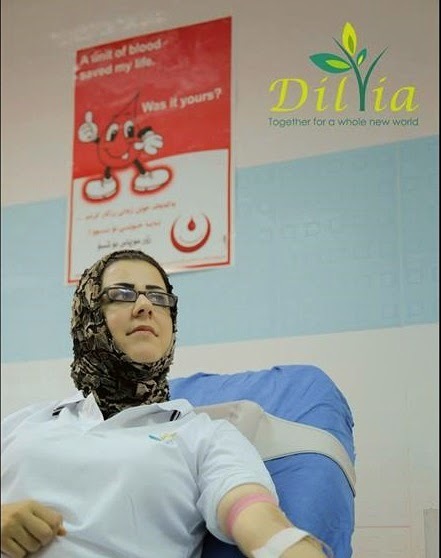 What I love about Dilvia is all their members donated blood first before launching the campaign to welcome members of the community to donate. Within the next week the campaign will move to Family and Tablo Mall as well. 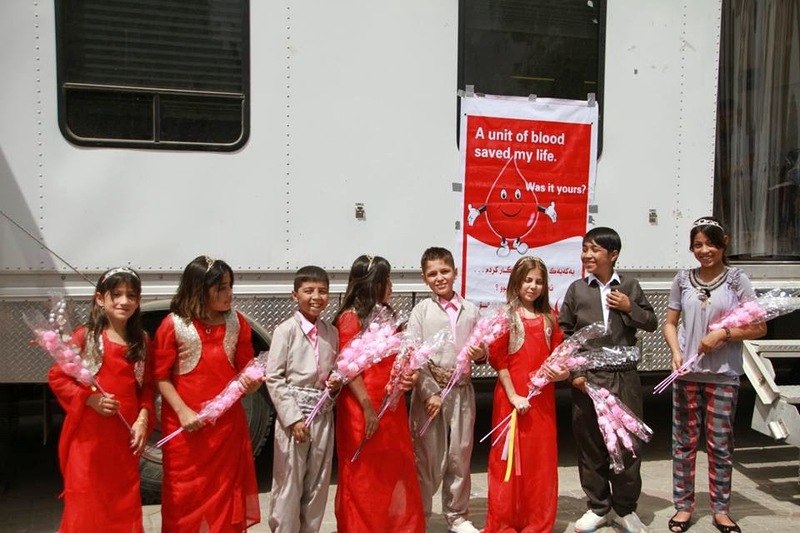 Above: Children with thalassemia giving flowers to blood donors today to say “thank you!” Receive your flower and visit the mobile blood bank first thing tomorrow. The children with more difficult conditions are not allowed to leave hospital nor do they have the health conditions or the energy to come and give you a flower to say thank you. But be sure every single person who uses your blood will pray for you and will forever be grateful to you.